Nose piercing is the second most popular form of body piercing after earlobe piercing. If you are thinking about getting a nose piecing, it might interest you to know how long it takes for a nose piercing to heal. This article will not only look at the general healing time expected for different types of piercings on the nose but also explain why its healing time is relatively longer than that of other forms of piercing. In addition we’ll discuss some helpful ways in which you can minimize the a newly pierced nose healing time. Unlike navel and ear piercing which are done on flesh or fatty tissues, nose piercing is done on cartilage which doesn’t heal the same way as flesh. Consequently, piercing on the nose take relatively longer to heal and are more susceptible to complications especially if proper piercing aftercare is not observed. Nose piercing healing time is one of the nose controversial topics online with some people holding that a piercing on the nose will heal in less than two weeks and others maintaining that healing can take up to six months. Obvious symptoms of nose piercing s such as swelling, tenderness and redness in the skin around the piercing typically clears away in 10 to 15 days especially if proper aftercare measures are strictly observed. As for the latter, the time frame varies depending on the type of nose piercing ; that is depending on where the piercing is located on the nose. There are two main types in this context, namely, nostril piercing and septum piercing . A nostril piercing (a piercing done on the outside of the nose in the area between the cheeks and the nose tip) typically heals completely in 2 to 4 months. A septum piercing (a piercing in the cartilaginous tissue separating the right and the left nostril) on the other hand takes a bit longer to heal completely, normally between 6 and 8 months. It is highly recommended that you leave your nose jewelry (stud, ring, or screw) intact during the healing process as changing it too soon can lead to irritation and infection, and probably extend the healing time considerably. During the nose piercing healing time, it is normal for the pierced are to bleed, swell, and appear tender and reddened. As the healing process progresses, the piercing may appear pink in color, form crusts, have light whitish-yellow discharge (not pus though unless it is infected) and itch a bit. All these could be observed even after it appears healed looking from the outside. Remember healing proceeds from the outside in and the inside of the nose may still be healing up. The question “ how long does it take for nose piercings to heal? ” appears very often in online forums. As we have said the time frame for a newly pierced nose to completely heal varies from 2 to 4 months for nostril piercing and 6 to 8 months for septum piercings. Swelling and other symptoms that appear immediately after the piercing is done however normally go away in 10 to 15 days. This is the average time it takes for a newly pierced nose to heal but it could be shorter or longer for some people. For example, if proper aftercare measures are not taken, including ensuring proper hygiene regime, preventing trauma on the piercing and avoiding tugging at the jewelry, the healing time can be much longer. In a nutshell, how long it takes for a nose piercing to heal depends to a large extent on your initiative in as far as caring for the piercing is concerned. Choose appropriate jewelry : the quality of the jewelry you use can have a significant impact on the length of the nostril piercing healing time. Stainless steel, niobium and titanium jewelry are the best in prevention of infection and ensuring a smooth healing process. While some piercers might offer free studs and rings as part of their package, you should ideally go for higher quality ones made of the above mentioned materials even though they might cost you a bit more. Nose rings also render themselves to faster healing than nose bones or studs and nose screws. It is also advisable to ensure that the nose ring doesn’t fit too tight as this can also delay the healing process. Don’t change the ring too soon : You might want to change from a nose ring to a nose bone or any other type of nose piercing . You might also want to change to smaller or larger diameter stud or ring, or a different colored version of the same jewelry you are wearing. However, changing the nose jewelry too soon can cause an infection and extend the healing time. Put off changing the jewelry to at least 4 weeks (but 2 months is the most appropriate time). Even then, listen to your piercing. If it feels painful trying to remove the stud or ring it could simply be telling you that it still need some more time to heal up. Observe proper aftercare for your nose piercing : Any professional piercer will advise you on how to take care of your piercing as it heals. Observe them carefully to shorten the healing time. 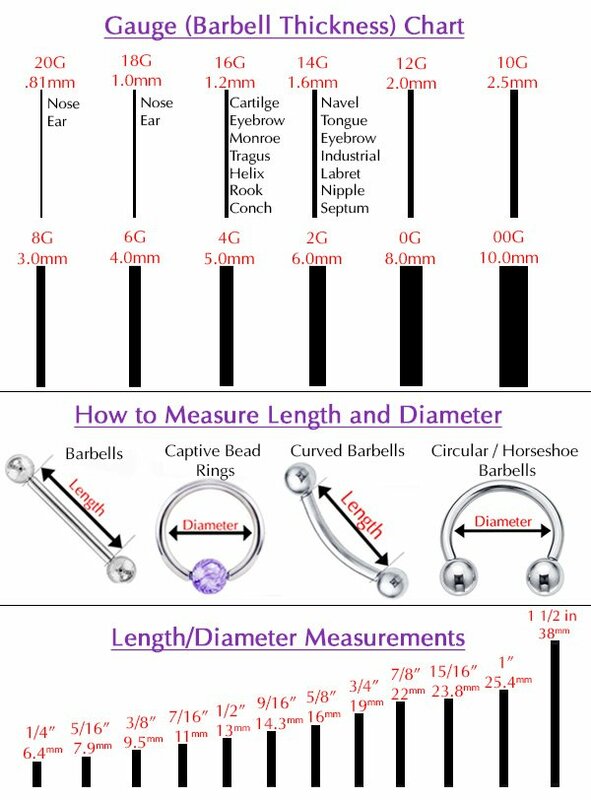 We have also shared numerous piercing on the nose aftercare measures here . Do Nose Piercings Close Up After Healing? We have all along been saying that you shouldn’t remove your piercing during the healing time to not only avoid infections but also to avoid close up especially given the fact that a piercing on the nose of less than four weeks closes up in less that 24 hours if the ring or stud is removed. The question then is, “ Do nose piercings close up after healing ?” The answer is “yes”; piercings on the nose close up after some time if they are left without a stud, ring or screw. If you have to remove the jewelry you are wearing on the piercing on the nose for whatever reason, e.g. a new job or moving in with your granny, you should consider putting on a retainer to prevent the it from closing up. if you get hydrogen peroxide of 3% NOT ABOVE THAT PERCENTAGE, it heals the piercing really quickly although a piercer told me that it’s bad to use hydrogen because it slows the healing process I found this to be completely untrue and it was the only thing that worked for me! first clean your piercing out with hydrogen on a cotton bud then pour a small amount of hydrogen onto the hole of your piercing as hydrogen works best when it comes directly into contact with a wound plus it is not sore at all! I got my nose pierced on July 3rd 2014, and changed the stud to a ring on October 31st. I have almost had it for almost a year and it still bothers me! I made sure I followed aftercare strictly and I did sea salt sokes starting in early September And going until December. There was no trauma except when I tried to change back to my stud and the hole swelled within seconds and I went to a piecing shop to get it stretched out again using a needle shaped plastic rod around February. It still doesnt esn’t feeliully healed. I assumed it would feel like an ear piercing by this point and although it looks healed, it hurts if I even slightly bump it. Check your allergies, I’m allergic to nickel, and although a small amount in gold earrings is ok I cannot wear under 20ct gold otherwise my ears react. I was told by my piercer that I needed to stay away from any nose studs or rings with any nickel as the nose can react differently and in a more pronounced way. She advised titanium nose studs/rings. As some stainless steel studs/rings have nickel. Actually with a septum they do not pierce the cartliage. If you go somewhere that tries to do that its wrong and will basically never heal and continue to cause you pain forever! I recently went somewhere and got mine done and it hurt horribly and would not heal so I went somewhere else and they told me it was done completely wrong through the cartilage and that I’m lucky they didn’t damage nerves in my nose. They pierce the small section of skin towards the bottom of the nose that slightly goes in and is very squishy! It’s called the “sweet spot” just wanted to inform incase anyone is wanting the piercing! Is “sweet spot” a medical term? I just got my nostril piercing last Friday and here it is Thursday evening and I feel quite confident in my piercing making as great recovery, but I always prepare for the worst and hope for the best. My nose still is a tender but only around the hole and the redness is fading but fading slowly. I am cleaning with antibacterial soap and not doing any of the tea tree oils or salt water soaks. I just hope it continues this way. Thanks for the great information. I needed it. Some of this advice is incredibly wrong and not okay. Advertising an irritation bump in the first photo which is a sign of bad news, tee tree oil which is much too harsh for fresh piercings in the last, saying that septum piercings should be in the cartlidge tissue when it should NOT, along with several other dangerous and false bits of information. If you need to know about a nose piercing, ask a professional piercer! I got my nose pierced on June 13th… I have to take it out before clinicals start August 15th… but i want to remove it now, and I am having an extremely difficult time getting it out… It’s a nostril screw. I tried to watch a youtube video, but it’s not helping. I get it almost all the way out, and then it feels like it’s hung in there, and it begins to hurt, so I push it back in. anyone have any advice? I got my nostril pierced and a monroe pierced on July 14. My monroe still hurts but I know that that is normal since it is still really early. However my nose doesn`t hurt, it is not swollen, red, irritated, and doesn`t hurt when I mess with it by pulling it halfway out and pushing it back in. I don`t know if that is normal I have all the signs of it being healed. It has only been five days. I forget I have it done until I look at my reflection. Is this normal? Mine is the same way, I think the initial healing is very quick and there is basically just “full” healing left. The skin right around the piercing is quick to form a new layer and now the whole area just has to repair and will be done at around a month. Sometimes you can’t trust what the professionals give you to use on the piercings. I have several piercings and only trust using rubbing alcohol. Had my ears pierced once by professionals, followed instructions, used the stuff they gave me and ended up with infections in both ear lobes. I pierced my own nostril only 4 days ago. I use the rubbing alcohol 3 times a day, turn it and keep it clean. I haven’t had any bleeding, redness, or swelling. Now when I apply the alcohol I barely even feel a stinging sensation. Just sharing what’s worked for me. Best wishes to all with new piercings or planning on getting pierced. ???? So I’ve had my nose piercing for a year and four months. I just changed it from the original nose screw to a hoop for the first time about 3 days ago. It hurts like it did when I first got my nose pierced. It is also gettting a bit crusty. Was it still not healed after a year? I’ve had my nose piercing for a year and four months. I just changed it 3 days from the nose screw to a hoop for the first time. I’m having pain like I did when I first got it pierced. There is no swelling but it is getting crusty. Was it not fully healed initially? Or is there always some pain when you change your piercing for the first time? Probably you have not fully healed. It can take up to 6 months or more. You could just use a sea salt solution and some tea tree oil. Use the solution to soak your piercing and then the tea tree oil to keep it moisturized and clean as well as it helps with the healing. i got my nose piercing on friday november 13th NOTHING to do with the date just FINALLY decided to get it done after wanting it for YEARS lol / he used a long needle OR hollow needle i saw him prep and i got a diamond look stud, it only bled a bit afterwards and my piercer recommended i use dial antibacterial soap to wash around that area with AND he gave me a package of sea salt to use qtips to treat daily; the first day it hurt a bit then the next morning i woke up started twitching my nose around to STOP the tightness pain and started bathing my nose in the sea salt soak with qtip, its been 3 days now and it FEELS fine and im NOT gonna mess with it EXCEPT my piercer asked me to come back for a follow up just which for him is standard he prefers to see you a few days to a week after your piercing to check up on it AND i heard him say imma see if i need to put a longer stud in when you come back sooo yeah now to me its a possibility that i MIGHT need it imma see what i think im NOT just gonna go with his word it does feel like its kinda short JUST CUTTING it in staying in the nose as my nose is thick and full sooo imma see but im doing ALL the upkeep and taking FANTASTIC care of my piecing im looking forward to wearing NEW nose candy rings in March my birthday time … by then it SHOULD have fully healed if not before LoL My body heals MIRACULOUSLY! OK some of those comments are helpful some not so much I’ve had my nose pierced since I was in the 7th 2010 grade I’m in 10th my first piercing my sister did with a earring piercer and I used a earring till I bought a real nose ring(which I bought from the hair store) it didn’t swell and stoped hurting in about 3 days but I did get a little bump on the side if my piercing from the earring I used but I let the bump drain by itself and it was fine I’ve had it for 5 years no problem I just pierced the other side of my nose Sunday November 29, 2015 with a needle and immediately put alcohol on it and it swelled, turned red and looks irritated but I cleanse it with alcohol every morning and night the swelling is going down but its still red and it doesn’t hurt as much so if your having difficulties with your piercing you could have had it done in the wrong place, have sensitive skin or your nose reacted badly to how it was done and what was used but I wouldn’t recommend taking it out unless you know its infected whatever happens will go away with time Good Luck to you all!!. I got the right side of my nose pierced yesterday and I feel like it is in the wrong place. If I take it out now will it be okay to have it re pierced tomorrow? How do i stop my nose ring from getting stuck in my nose? I just got it pierced and im so scared that my nose will grow around the jewelry. Ive heard it happens alot. I just want to be able to change my nose ring once the healing process is done. Need advise on this please.?? I justbgot it done the day before yesterday and ive been cleaning it and it doesnt hurt anymore. But how do i make sure the stud wont get stuck in my nose.?? I did my own piercing using a piercing stud and it’s has only been 3 days and everything is going swell. Very little pain and swelling. my nose was pierced 6 days ago, it does not hurt but it seems like it has started to sink into the hole a little. my question to you is should i take it out or leave it in? I got my piercing done January 02,2016 and it felt fine but now is like getting a Lil bump in the outside of my nose who can tell me why is dis happening??? ?